Transitional block pull by Richelieu. Its truncated ends match various styles of dicor. This contemporary style Richelieu pull will add an elegant touch to your cabinet doors and drawer fronts. Its simple straight lines integrate well with any type of dicor. Richelieu Contemporary Metal Pull - Brushed Oil-Rubbed Bronze - 128 mm C. To C.
Bring an urban touch to your space with this stylish contemporary recessed pull. A bold design that blends perfectly with your modern dicor. Richelieu Traditional Metal Pull - Brushed Oil-Rubbed Bronze - 3 in C. To C.
An elegant and stylish addition to your cabinets and furniture. With its classic design and unique embellishment, this Richelieu pull gets noticed. Richelieu Traditional Metal Pull - Brushed Oil-Rubbed Bronze - 96 mm C. To C.
Classic bow pull featuring a metal rod with twisted-rope detailing on round posts. Its style and finish will enhance your kitchen or bathroom cabinets. 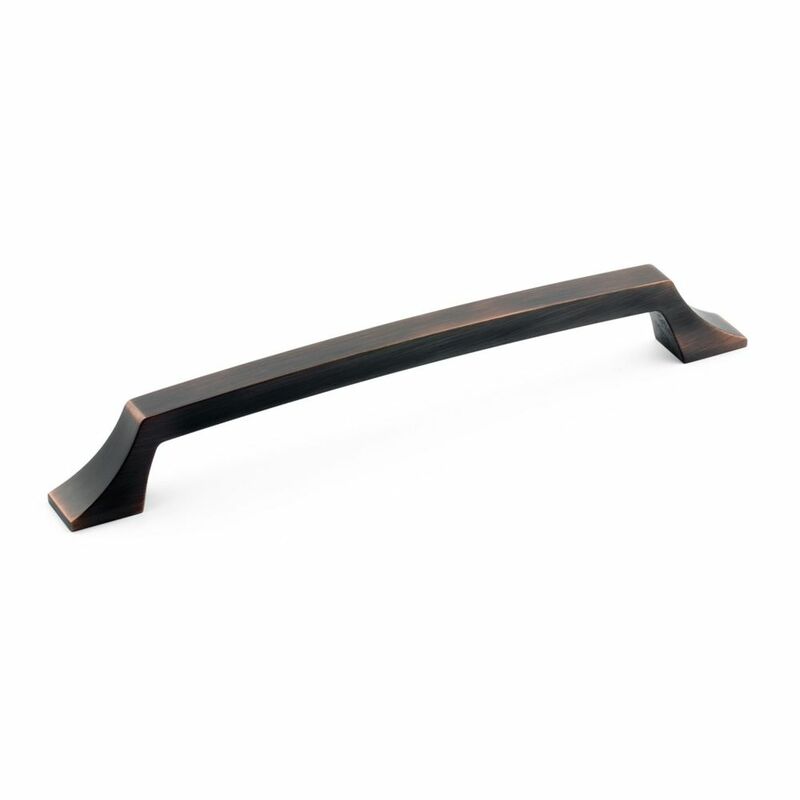 Transitional Metal Pull 7 9/16 in (192 mm) CtoC - Brushed Oil-Rubbed Bronze - Rosemère Collection Transitional block pull by Richelieu. Its truncated ends match various styles of dicor.